There is an interesting opinion from Ric Stevens in the paper this morning, which I think leans towards retaining the cathedral. Interesting, because I’ve heard suggestions that it was Stevens who was leading the Press’s extraordinary campaign against the town hall – and he manages to get a dig in about that here, both denigrating the use of the building, and inflating the cost. Will ours be the generation which saved the Town Hall but lost the old cathedral, spending $227m on a concert chamber and less than one-third of that on a replacement church? My views on the Cathedral have hardened over time. It can be restored, and it should be. It is the symbol of the city, and though it is technically owned by the church, the spiritual owners are the people of Christchurch, those who’ve left the city, who’ve moved to the city, those who died in the city and those who are yet to be born in the city. I’d like to see Sir Miles Warren’s wooden restoration being discussed again, as I think that is a happy compromise on heritage, modernity and cost. Ultimately, this will be a decision for the Anglican Church. If they want to build a new Cathedral, that’s their call. But if that is what they decide, then I think they should be looking for a new site. This is Cathedral Square, defined by the building. When the planners laid out the square, they were very generous, maybe thinking we’d be a city of a million. That hasn’t happened. If the church wants to redesign their building, then I think the Council should take the chance to redesign the square too. It may be that in a modern, secular society, we chose not to have our civic heart beholden to an antiquated religion. There is very little that is normal about immaculately restored vehicles from early last century plying a route through a broken-down city and offering a service to mostly non-existent people. The sort of normality the tram represents is gone, brutally. I’m not even considering the cost of the resumption, which will be close to $2m. While he also gets into bagging the Cardboard Cathedral, I haven’t been in yet, so don’t really have an opinion on that. But I do agree with him on the Cathedral, and now that we’re done with the Town Hall, we might be able to focus on that. 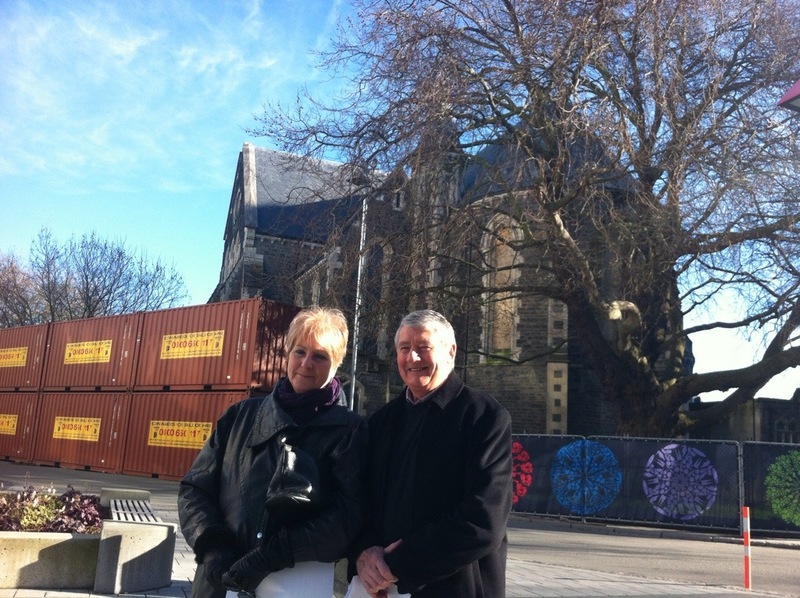 I think a good compromise between the Greater Christchurch Building Trust and the Anglican Church might be the wooden restoration proposed by Sir Miles Warren, which incorporated the original timber framing proposal.